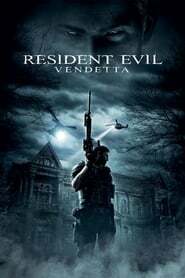 Resident Evil: Vendetta Chris Redfield enlists the help of Leon S. Kennedy and Rebecca Chambers to stop a death merchant, with a vengeance, from spreading a deadly virus in New York. Shinobi: Heart Under Blade Star-crossed lovers must fight on opposing sides in a battle that will determine the next Shogun. The ABCs of Death A 26-chapter anthology that showcases death in all its vicious wonder and brutal beauty.